SCC Annual Scientific Meeting – an event not to miss! 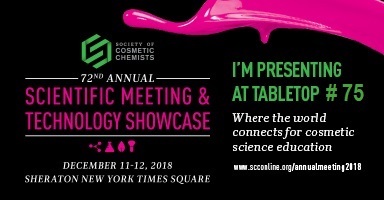 Don’t miss the SCC 72nd Annual Scientific Meeting & Technology Showcase at the Sheraton New York Times Square Hotel on Dec. 11-12, 2018! A great event for anyone interested in the industry’s latest trends and information. Don’t miss it! Evalulab will be present at tabletop #75, so don’t forget to stop by and learn more about clinical studies! You can also send an email to schedule a meeting with our representative. Home Blog SCC Annual Scientific Meeting – an event not to miss!